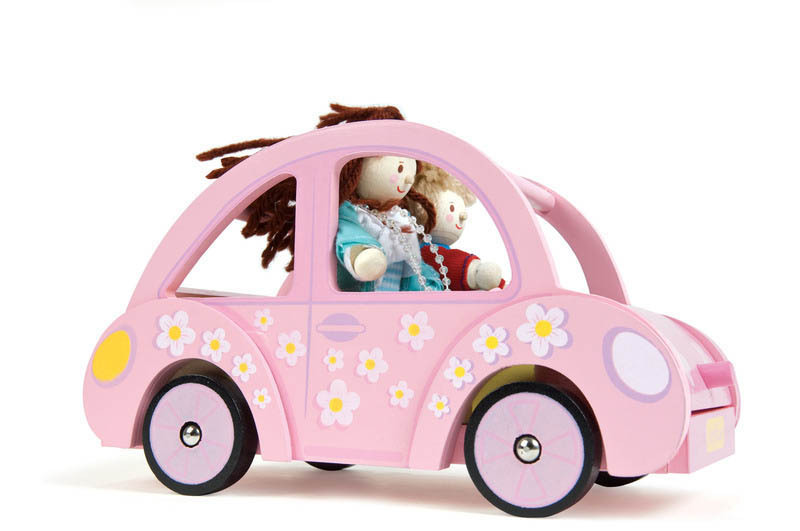 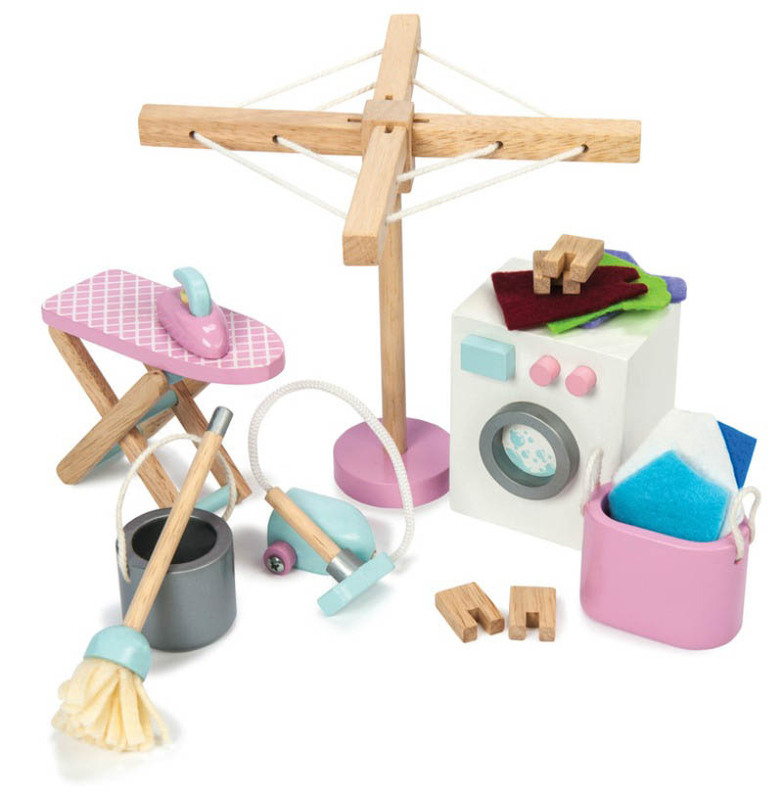 A delightful Nursery Set with Baby, scaled to all of Le Toy Van doll houses and furniture, is a fun accessory to encourage imaginary play and a beautiful addition to your Budkins family home! 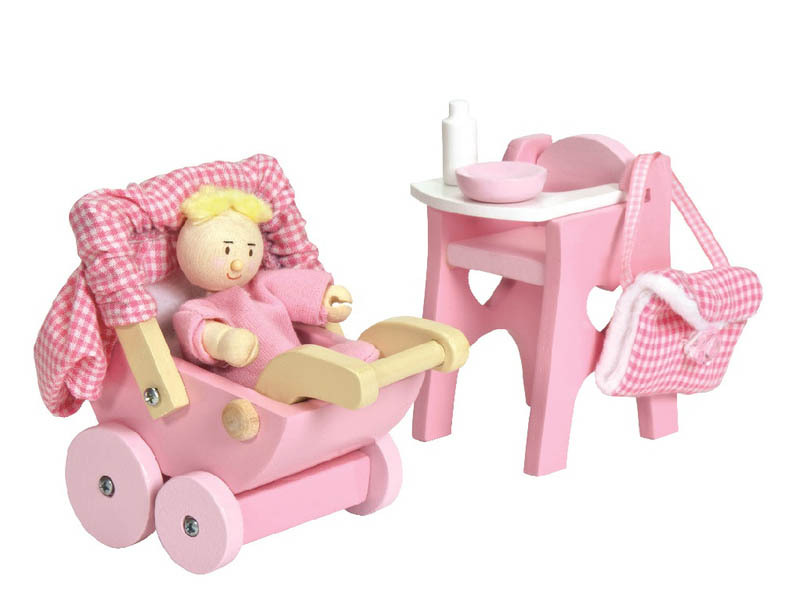 The Nursery Set and Baby includes a poseable wooden baby, a buggy, a high chair and all accessories as pictured. 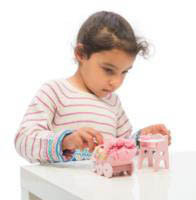 Product is constructed from: Rubberwood (certified sustainable wood (see certification) , MDF, plastic components, and non-toxic paint.